Following medical tests, it has been confirmed that the British Sailing Team’s 470 Olympic campaigner Elliot Willis has unfortunately been diagnosed with bowel cancer. An appropriate course of treatment is currently being determined for the Sevenoaks sailor – a two-time World Champion in the double-handed Olympic 470 Class – with Willis inevitably set to take some time out of the boat. The longer term impact on his and Patience’s 470 campaign for Rio will be assessed in due course depending on the treatment recommended by medical professionals. Elliot Willis said:’Clearly it’s pretty shocking news to receive, as I’m sure anyone who’s been affected by a similar thing would understand. Royal Yachting Association (RYA) Olympic manager Stephen Park said: ‘This is obviously bitterly disappointing news for Elliot, as it clearly could impact on his ability to compete at his first Olympic Games. Our overriding priority is that he receives the right and appropriate levels of treatment for the condition to ensure the fullest chance of recovery, and we will offer him every support we can in this regard. 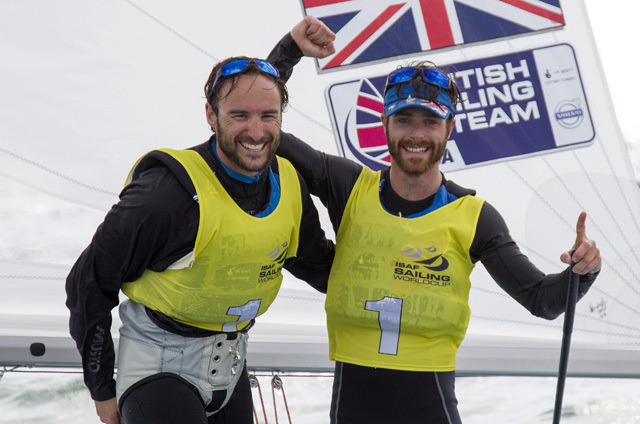 ‘The British Sailing Team is a close-knit family and all our thoughts are with Elliot for a speedy recovery. Luke Patience said: ‘I’m gutted for Elliot. Everything else takes a back seat when something like this happens. Elliot absolutely needs to do what’s best for him and I’ll support him in whatever way I can.